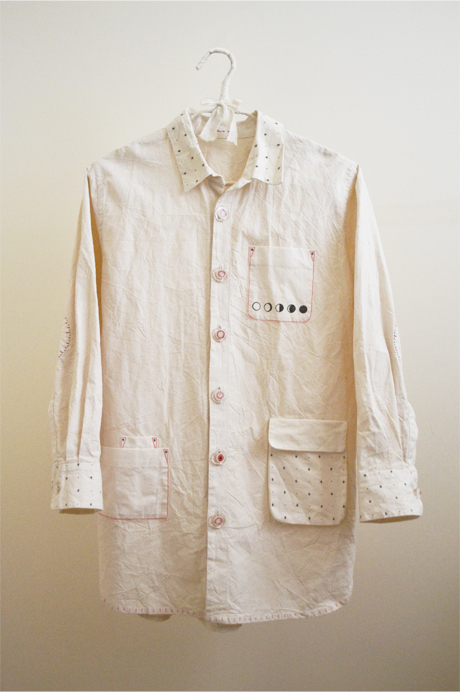 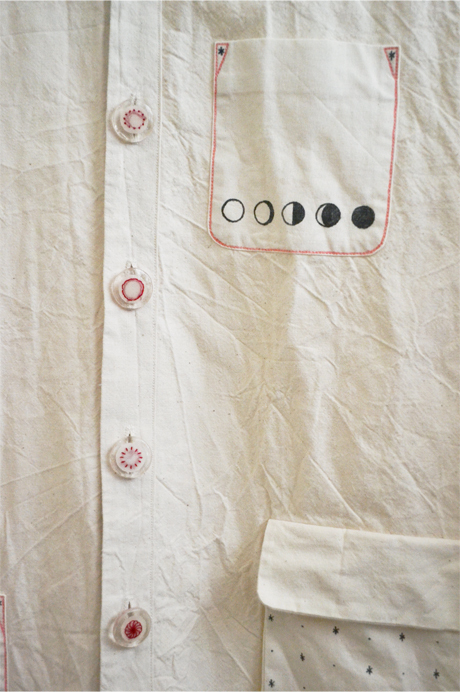 This is a commissioned piece of the Controlling Girl’s shirt dress calico version from “minus the sun, night all day” collection. 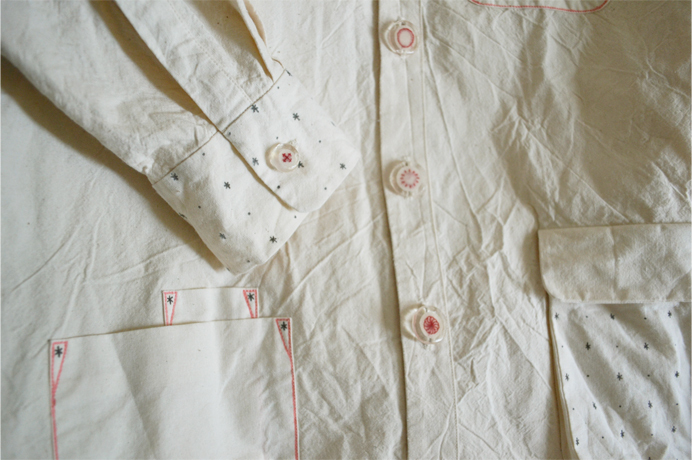 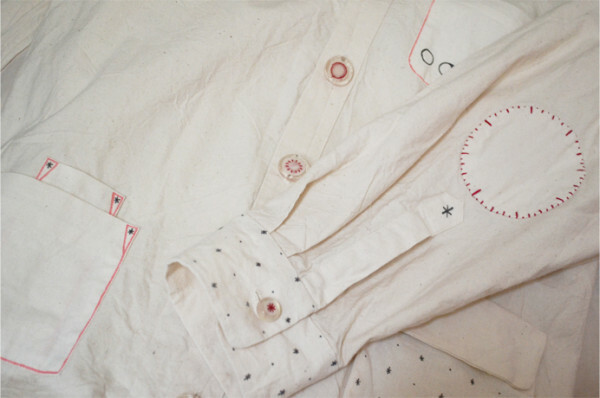 The marks and lines are drawn by hand and not actual embroidery, only the elbow patches are hand stitched. It is almost the same as the original but the resin buttons have embroidery inside instead of sequins. 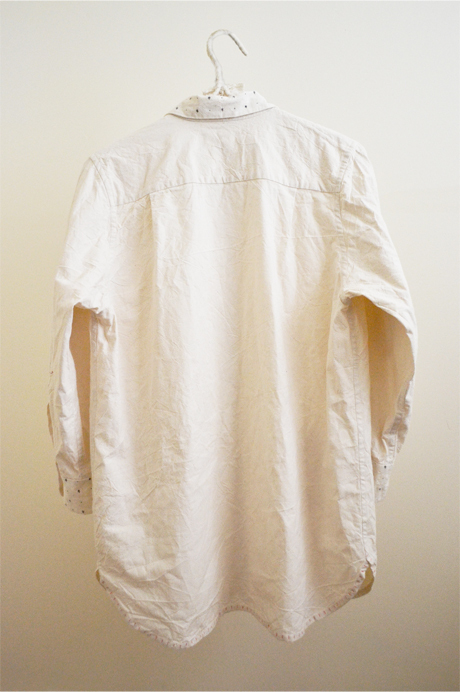 Also, it has a different mood because the calico I use is not always the same and I often combine different ones.